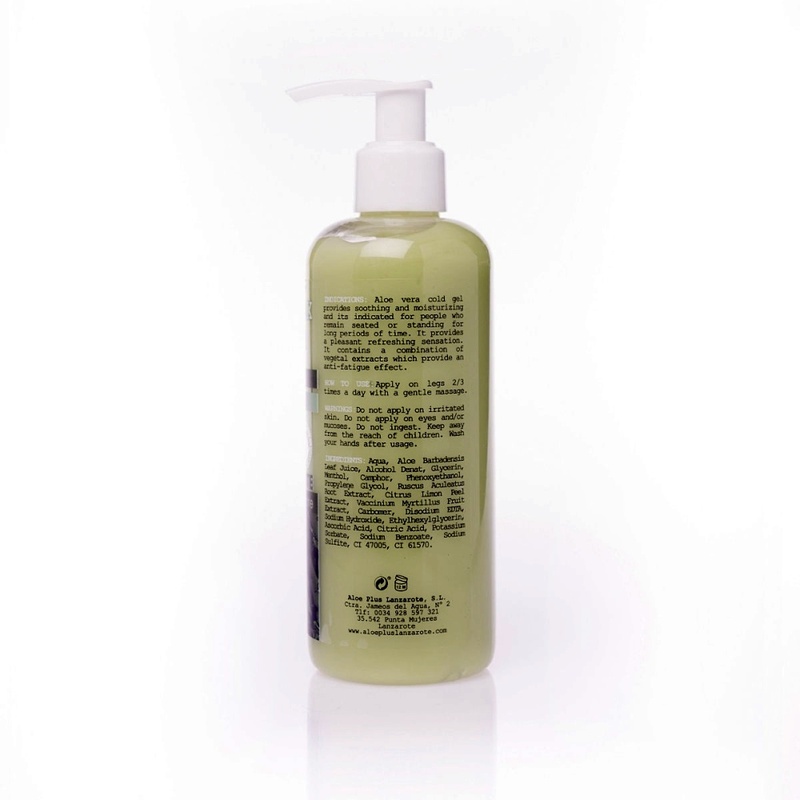 Gel which increases the effect on blood circulation in the extremities. Ideal to strengthen, relax and relieve leg in the case of having arthritis or joint problems. Great for sports massage. Pleasant sensation of freshness. Vasoconstrictor action: relief of tired legs. Antiedema: decongestant, anti fatigue, soothing. Aloe vera: Soothing, moisturizing and cell regenerator. Apply daily with a gentle massage as often as necessary and whenever the sensation of fatigue appears.